Bridgford Interiors is a specialist interior fit-out contractor established in 1994. Through organic growth the business has transformed into one of the UK’s leading businesses in the sector, providing flexible services to meet individual client requirements. RLI catches up with Alan Palmer, Business Development Director to discuss how the company has grown this year and what the future holds. Over the last 24 years, Bridgford has grown and developed into one of the UK’s premier interiors contracting companies, evolving from its roots as a traditional shopfitting company into a leading specialist interior contractor and construction manager. The past year has been a steady one for Bridgford Interiors following growth in 2017, and the company has delivered a variety of schemes across the UK for 19 different clients, each with their own expectations and nuances. “Supply and demand is a foundation of economic principles, none more so than in the retail environment,” explains Alan Palmer, Business Development Director at Bridgford Interiors. Amongst the various projects that the company ha completed this year, standout schemes include the new Foot Locker store on London’s Oxford Street. Notable for its location near Marble Arch, the store has been designed to inspire and provide a tech-filled experience for consumers with a strong focus on presenting premium products. The 647sq m of retail space across three floors uncovers local architectural heritage of the site and blends it seamlessly with ‘London – We’ve Got you Covered’ digital brand messaging, the iconic red locker wall and cultural wall are by Tommy Bates. 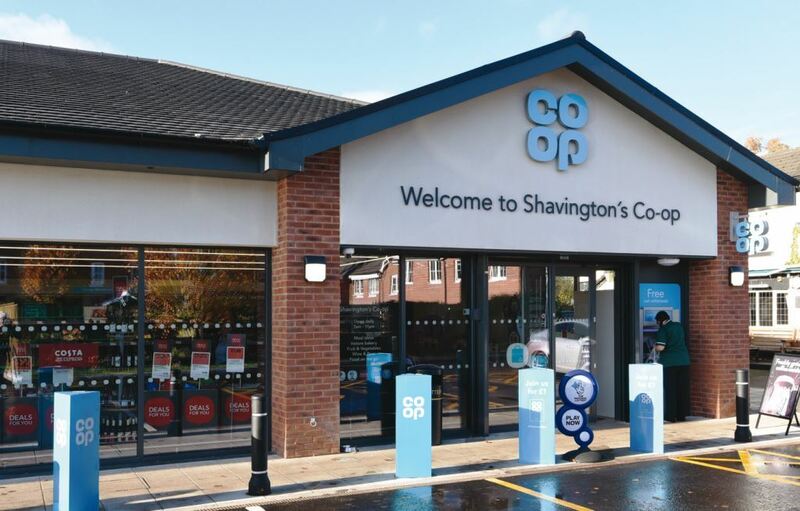 Another such scheme was the Co-Op Shavington, where the design and build proposed on the project served as a pilot for Co-Op to trial new design features. Looking ahead into next year, plans are already in place to deliver a new four-storey scheme for TK Maxx, which promises to be an exciting project on Oxford Street. 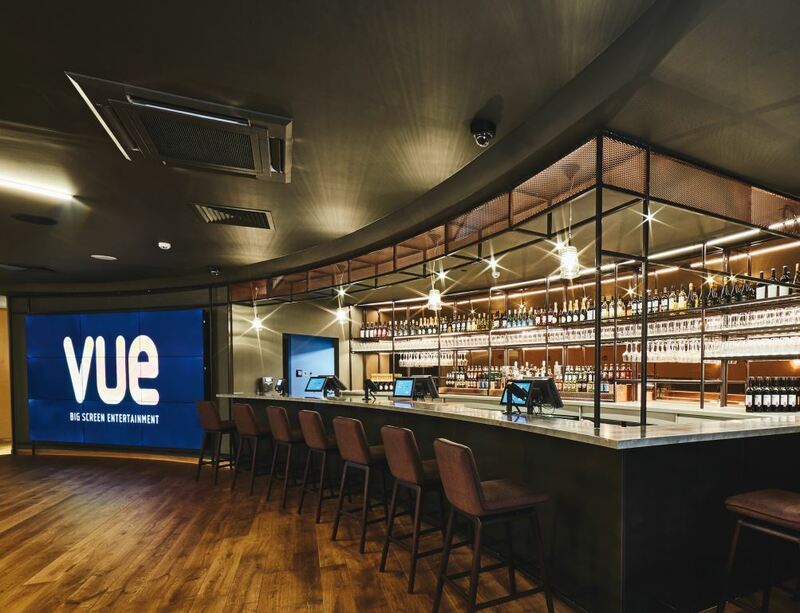 The wide spread of projects the business contributes to span the retail, leisure and hospitality sectors and provides a balanced workload of new schemes and refurbishment schemes across the UK. Short duration initiatives or maintenance style projects overlaid with longer duration and complex works, either in a new property or a trading environment continue to add variety to the project mix. Palmer believes that time is the most important investment the company has committed to this year, ensuring that staff and clients feel valued, content and satisfied in what they do onsite and offsite. He feels this in turn will lead to healthy relationships at all levels which are integral to Bridgford’s continuing success. The evolution of technology in recent years has provided a new level of efficiency and new ways of working for the company, with tools such as WhatsApp utilised for communication with project teams on a daily basis, Skype Conferencing reduces unproductive travel time and the introduction of Surface Air Pro tablets allows for enhanced communication whilst on the move. Delivering consistent quality across its schemes is one of the key strengths of Bridgford Interiors, along with its transparency and its ability to deliver on what they promise in terms of programme, budget and quality. This ensures that the reputation of the business stays intact and that clients are assured that their expectation shall be met. Like every business in the current market, problems are expected, such as the impending Brexit deal and its subsequent implications, and the adaptation of stores to fall in line with the shift in consumer behaviour, but it is how they are dealt with that sets the company apart. “There are no secrets to success; it is the result of preparation, hard work and learning from continuing challenges,” concludes Palmer.